The recent decision to murder the INF treaty in its tracks, announced by the Trump administration, marked the early demise of international arms control and nuclear nonproliferation. Unsurprisingly, for two weeks in a row this topic has been by far the most discussed thread in the media. It’s clear that Donald Trump is catering to the demands of the US armed contractors that put him in the White House in the first place, for him to promote their best interests. There’s been countless attempts to persuade Washington that there’s no winners in a modern arms race, since it has the potential of provoking a nuclear holocaust that might consume planet Earth overnight. Yet, what we see time and time again is the White House spending stupid amounts of money on preserving its alleged primacy across the world. But where does all that money go? Last year, the United States spent some 643.3 billion dollars on its military. This mind-boggling sum makes Washington’s nearest contenders, specifically China and Saudi Arabia (168.2 billion dollars and 82.9 billion dollars respectively) look like amateurs in the tricky business of wasting excessive amounts of money. And while the MSM keeps crying wolf over Russia and its alleged expansion in the world, the Pentagon alone spends 10 times the total Russian defense budget every year. 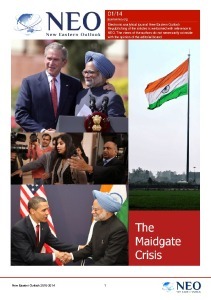 This fact can be found in a report penned by the International Institute for Strategic Studies (IISS) based in London. And it starts looking particularly disturbing when you put it in the proper context, as the US is not just an absolute champion in the money-wasting business, it keeps increasing its military expenditures at a record pace too! Under Donald Trump, the United States would carry on dragging itself into new military conflicts, as if US servicemen had nine lives to spare, spitting their blood over petty technicalities that Washington perceives as the moral high ground . As for regular Americans, they receive zero benefits from the costly behind-the-scenes Pentagon extravaganza that keeps on getting worse. It’s curious that those same American military contractors would demand some 18 billion dollars on countering Russia, China and the DPRK in 2017 alone. However, as their appetite for other people’s money is getting even worse, so this record was to get broken last year. The looming threat of a military confrontation with a global bully resulted in countries of Eastern Europe and the Asia-Pacific region significantly increasing the amount of arms deals they sign, which was reported by the Security Assistance Monitor, a program of the Center for International Policy. The United States spent 610 billion dollars in 2018 on defense, roughly one-third of all military spending on the planet —but that doesn’t mean that money is always being used efficiently. Over thirty years, the US army has engaged in two long-term wars and several briefer ones without replacing the major weapon systems which entered service in the 1970s and 80s. Yet, as it’s been revealed by the same publication, it’s not that the US didn’t try to design new weapons, it’s that all of the development programs that Washington financed somehow failed miserably, in spite of the government wasting 30 billion dollars on some of those. 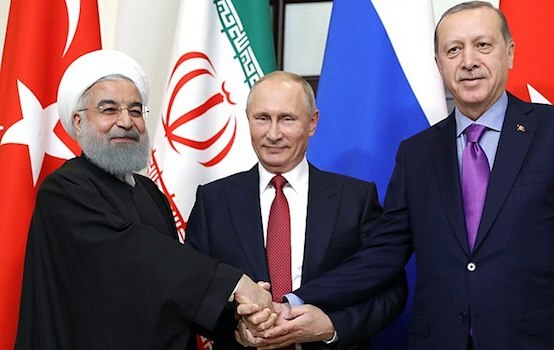 Is there a better breeding ground for corruption than the area where you can easily claim that you tried to produce the best missiles, helicopters, armored vehicles in the world but then you failed and you’re sorry? 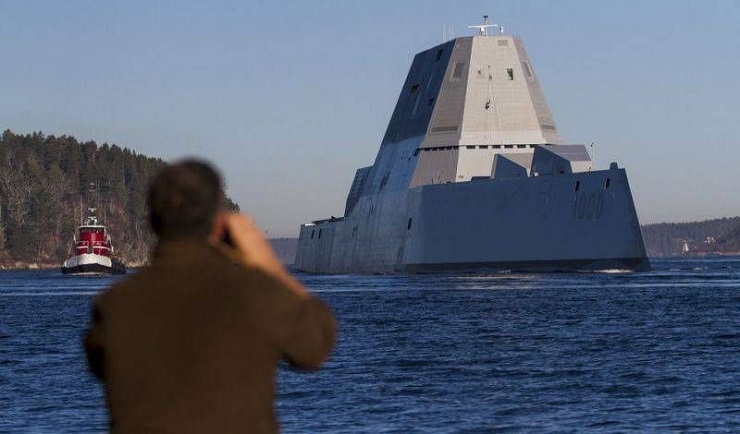 However, the outrage of the National Interest doesn’t seem to be well placed, as the there’s hardly any larger disaster than the Zumwalt-class destroyer program with its total cost of 22.5 billion dollars, which amounts to an average cost of 7.5 billion dollars per ship. The US Navy was planning to acquire 28 of those, but when it got its hands on the first three ships, it was surprised to learn than the wonder-ship of the twenty-first century was no better than the Arleigh Burke-class destroyers that have been in service for three decades. It seems that Washington is on a shopping spree on a Black Friday, as it would order 34 LCS (Littoral Combat Ship) with the US having no enemy to pose an immediate threat to its coastline. Moreover, as it’s been pointed out by Task & Purpose and Bloomberg those ships turned out to be “floating garbage piles” even after 16 years spent on research and development. However, Lockheed Martin and Austal that cashed in big on those ships are not inclined to describe their brainchild as a failure, as they were happy to celebrate the commissioning of the USS Tulsa, which will eventually be docked in San Diego. However, if you have a hard time imagining an even more disastrous project, there was at least one and the Pentagon was happy to foot the bill for it. Yes, we’re speaking about the Airborne Laser project that was envisaged as a part of the joint Euro-Atlantic missile defense system. Essentially, the premise behind this project was pretty darn hilarious, as the military contractors took a regular Boeing-747 and attached a massive laser pointer to it on the premise that it would be capable of taking down ballistic missiles. However, lasers are not really effective in the atmosphere and then it turned out that ballistic missiles can travel at crazy speeds, so the Pentagon decided to scrap the project after spending nearly a trillion dollars on it! It’s curious that Zero Hedge has recently revealed that the US Department of Defense has been the largest employer in the world for a while, with some 3.2 million members on its payroll and 2.4 trillion dollars in assets but has never administered a full audit. It turned out that an initial Army audit found that 800 thousand dollars worth of UH-60 Black Hawk was not adequately recorded in the property system. The Air Force identified 478 structures and buildings at 12 installations that were not in its real property system. In other words a total of 39 helicopters was simply “missing” on the books. As it’s been previously discussed in NEO, the never-ending wars that Washington has been waging ever since it announced its War on Terror resulted in 1.5 trillion dollars being wasted. This means that military contractors across the US received at least one trillion dollars to carry on lobbying their best interests in Washington. If fervor for overseas military adventures moves like the tides, then right now we see more sand and mud than blue water. Americans aren’t anxious to start more wars. On the contrary, they believe that US interventions have undermined our security, and they want more resources dedicated to nation-building at home, not a massive military buildup. However, it remains unclear whether American elites are capable of putting the brake pedal to the metal or are they going to pretend that tomorrow will never come?